IKEA's first removable art gallery in Australia opens next week in Sydney. The 'exhibition' features 12 artists from around the world, with visitors invited to take home their favourite work of art. To be hosted at the Art Gallery of New South Wales, IKEA’s removable art gallery exhibition is being held in celebration of the IKEA Art Event 2017 launch. The temporary removable exhibition will be held on Tuesday 30 May 2017. The exhibition will display a strictly limited-edition collection of 12 posters, featuring fine art drawing by both internationally-recognised and up-and-coming artists. Guests will be able to select their favourite piece from the exhibition, freely remove it from the wall, and take it home with them from the gallery. The IKEA Removable Art Gallery aims to turn the idea of art as inexpensive and inaccessible on its head, to show people that great art can be accessible for everyone. Observing that IKEA has long provided Australians with affordable and functional home furnishing design, IKEA Australia spokesperson Mark Mitchinson said they understood Australians’ strong perceptions on the affordability of art. 91 percent of Australians believe that art shouldn’t only be found in galleries or museums, but also belong in their home. To address this, IKEA is launching a limited-edition Art Event 2017 collection in stores this June. Places for the IKEA Removable Gallery are strictly limited. Each session will be closed to registrations once booking capacity is reached. 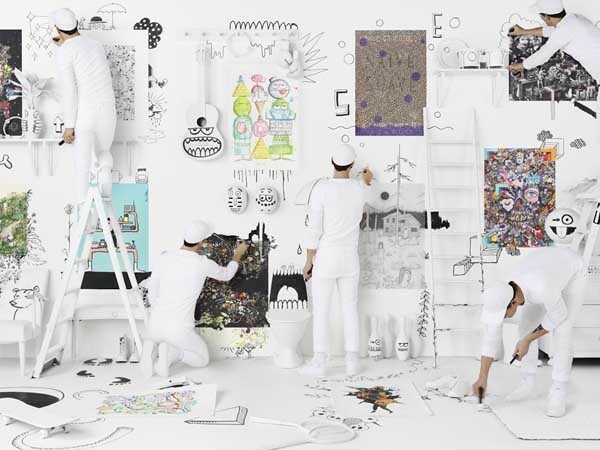 IKEA Art Event posters are available in limited quantities and are subject to availability in each session. Register your interest to participate online.